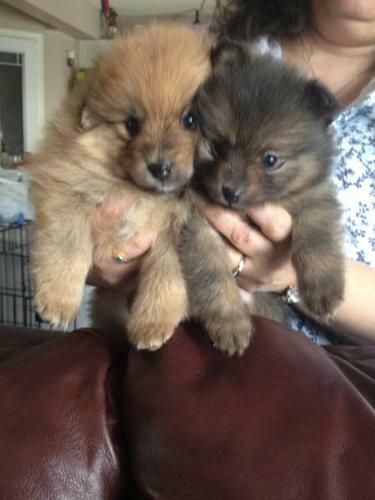 Responsible and experienced breeder has only one pup left from the latest litter of Tri-color pom pups. Already has the certificate of health from a Vet and 1st set of shots - dewormed and looking for a special home like my other brothers and sister. I was born on Nov 27th, and I am a very calm and snuggly little guy but I like to play. I am non-shedding and will have an amazing coat.